The peaceful paths of Purewa Cemetery are a fitting place for Anzac reflection. Historic Purewa is the resting place for so many who helped preserve and shape our nation. Some were highly decorated, but most often they were ordinary people moved to do extraordinary things. Headstones include that of Lieutenant Commander William Sanders DSO VC, the only New Zealand seaman to have won the VC. In 1917 he engaged enemy submarines disabling one before being sunk and lost at sea. Incredibly Sanders was commanding a mere sailing ship against a submarine fleet. Another VC holder at rest in Purewa is Lieutenant George Dare Dowell of the Royal Marine Artillery, who won his honour in the Crimean War for rescuing the crew of a stricken cutter. Walter Batty, our first Tongan-born All Black, earned the DCM during WW2 for action in Libya. As a gunner with the 6th Field Regiment he engaged nine German tanks advancing on his regiment’s position, dispatching one, until the remainder of his troop saw off the attack. Other notable graves include those of John Anthony Carr, a WW1 pilot awarded the DSC for anti-submarine work; and John Seabrook, a fighter pilot in WW1 and Group Captain in WW2. Sir Robert Muldoon, NZ Prime Minister 1975-84, served in the Pacific and Italy including the liberation of Trieste. Not all war heroes were frontline combatants. Brave nurses like Cora Anderson and Hilda Bloomfield MBE, served on the Eastern Front in WW1. Remuera-born Ethel Hirst served in New Zealand military hospitals in WW1 and returned to a distinguished, lifelong career of public service. James Hardie Neal was an Auckland Hospital specialist surgeon who distinguished himself in three wars: the South African War; in WW1 commanding the No. 3 Field Ambulance; and as Officer Commanding the 12th Field Ambulance, Home Guard in WW2. 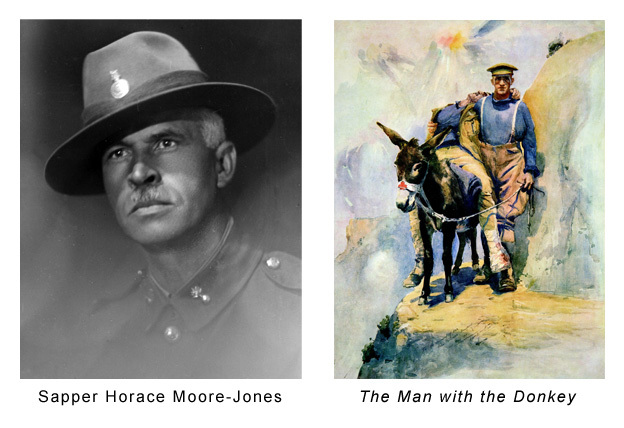 Horace Moore-Jones, a soldier at Gallipoli, painted a series of watercolours depicting the campaign, including the much-loved Simpson and Donkey portrait. Aviator and pioneer air photographer George Bolt served with the RNZAF in WW2 as Chief Engineer and attained the rank of Wing Commander. You are cordially invited to visit the walkways and gardens of Purewa at 100-102 St Johns Road, Meadowbank.